even in acoustically challenging rooms. 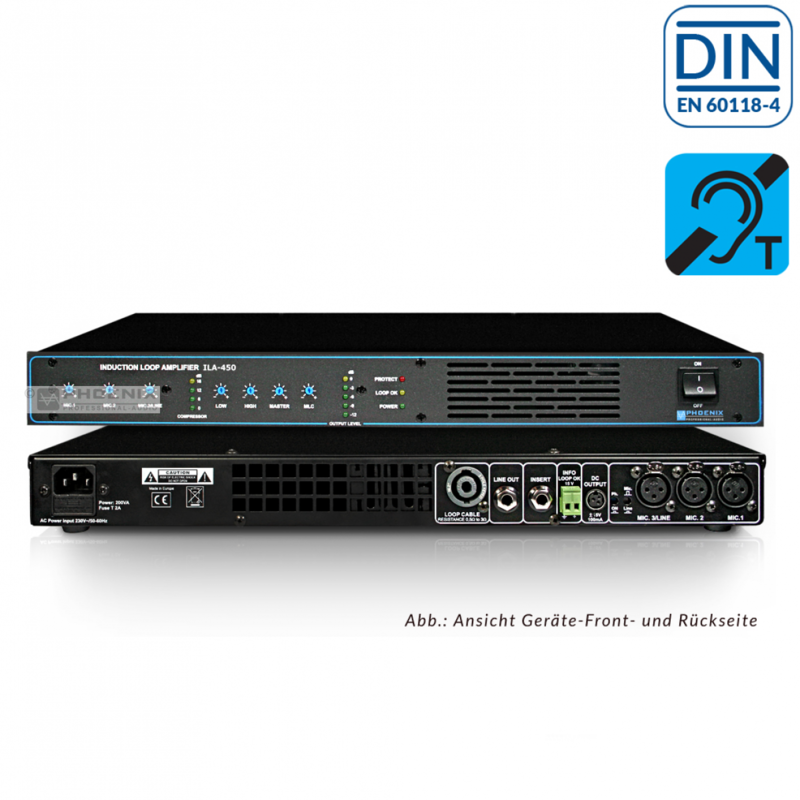 ensures high-precise sound distribution and brilliant sound. outstanding sound technology with passion and precision. 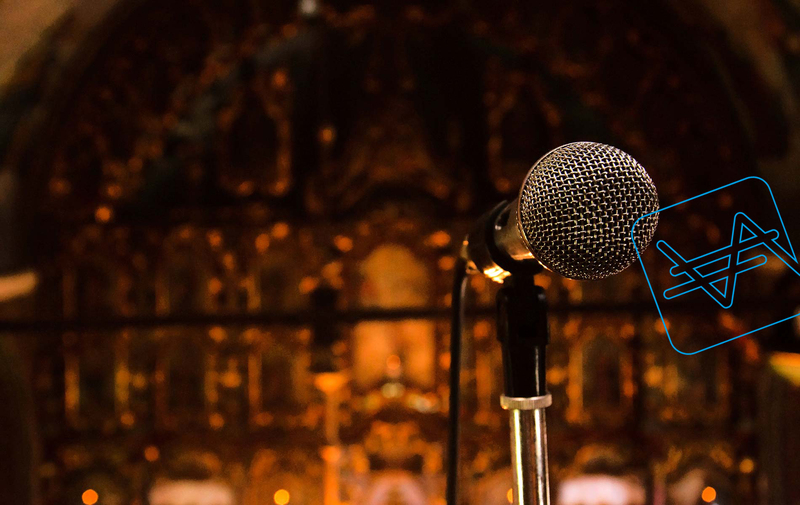 Experienced by many years of sound transmission in sacral buildings, we offer column speakers, amplifiers and microphones especially designed for an excellent sound in churches. With our large selection of high-end public address systems you experience electro-acoustics of the top class — speakers certified acc. 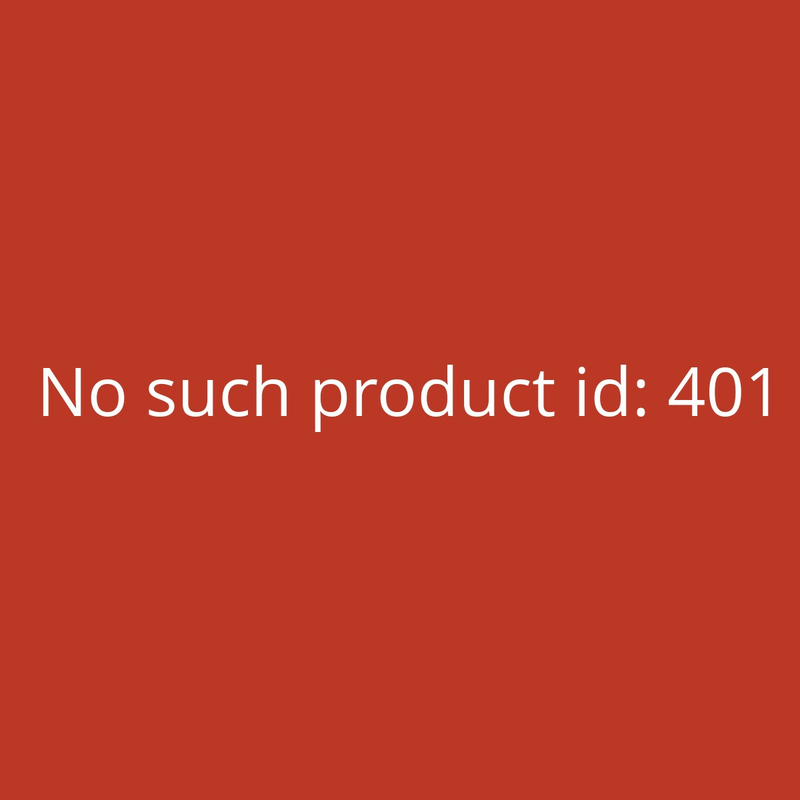 to EN 54-24, microphones, amplifiers and more. 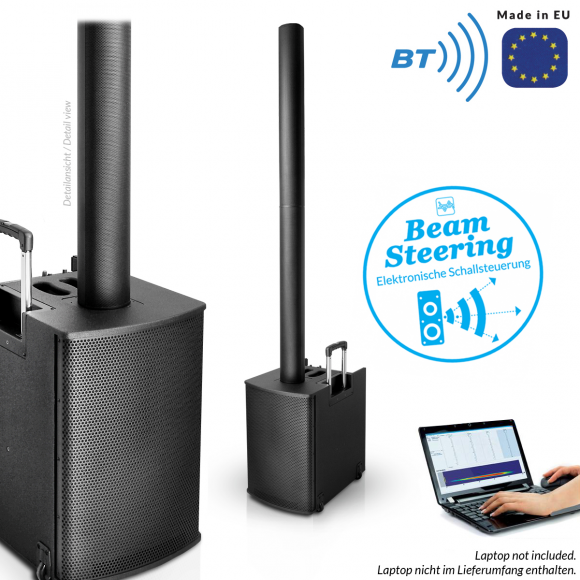 From mobile amplification systems for sales events up to procession systems for churches – discover the suitable transportable sound system for every purpose. 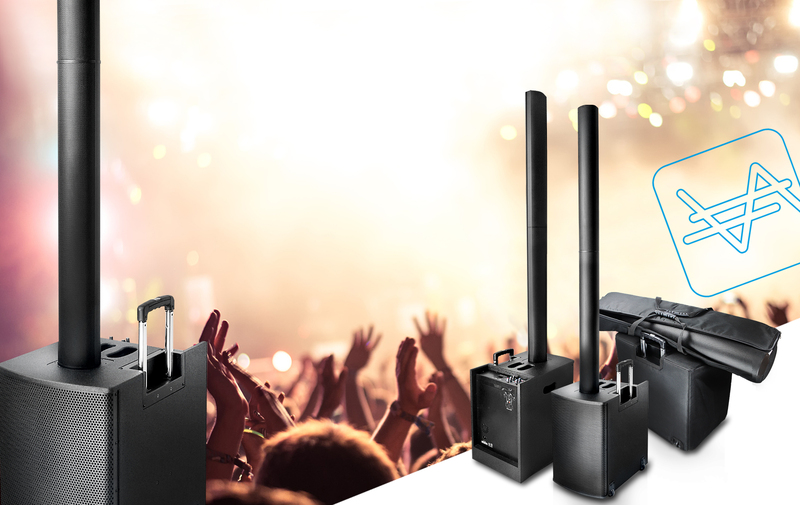 Whether conventional PA or beam steering technology for professional organizers: Phoenix PA-systems meet the highest demands in the range of event acoustics. Phoenix offers you a wide 19“ cabinet portfolio. High-quality, durable and stable floor-standing cabinets, swing frame cabinets, wall cabinets and much more. For more than 15 years, Phoenix Professional Audio has stood for tailor-made acoustic sound solutions with a timelessly sophisticated design. 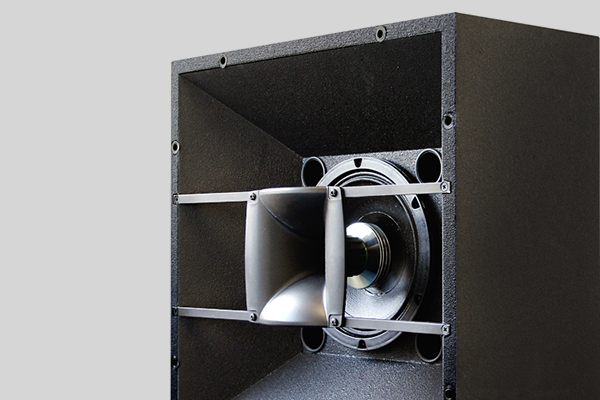 What drives us is our passion for acoustics and sound quality. 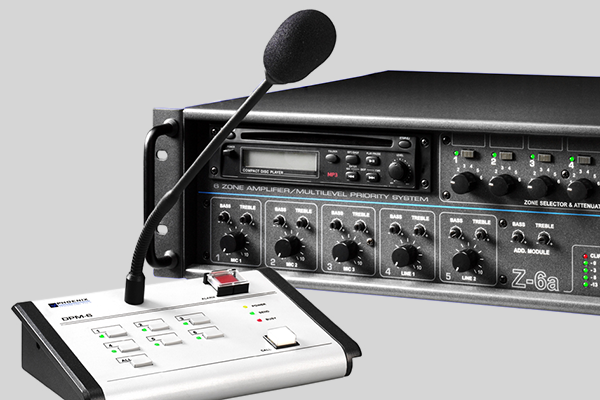 As a competent partner in the field of professional PA, we offer state-of-the-art sound technology and best audio engineering from a single source. 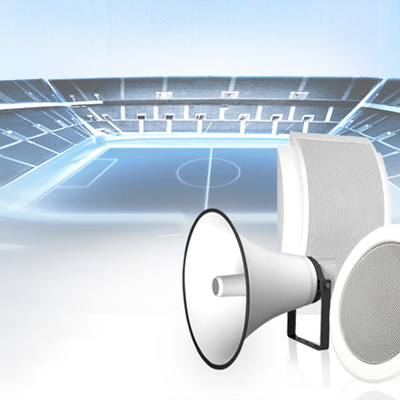 We offer a comprehensive range of reliable public address systems and PA systems of outstanding product and sound quality. 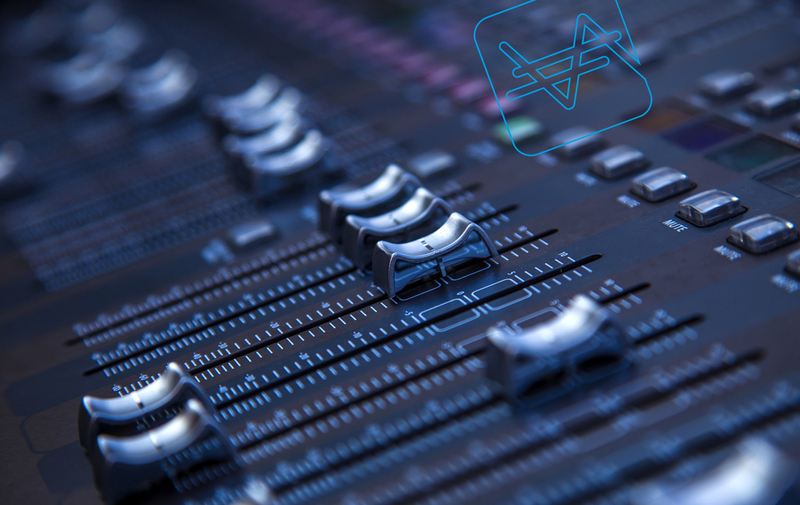 Our sound systems are equipped with the latest technologies, such as line arrays with state-of-the-art beam-steering technology, and are continuously reviewed and developed by our engineers. In line with the acoustic room architecture, we support you in your sound reinforcement projects with individually designed sound concepts from a single source. On request we perform acoustic simulations and room analyzes (e.g. EASE simulation). With us you benefit from the experience of more than 3,000 realized projects worldwide. 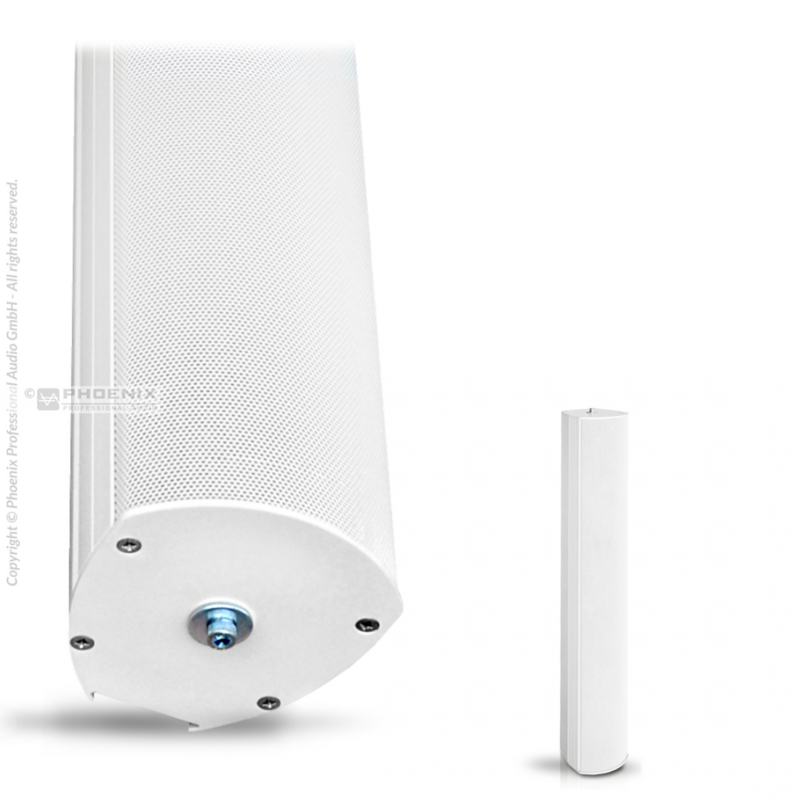 Passive directional columns, 3.5″ ferrite chassis, 40 W/100 V, Freq. : 90 Hz – 18,000 Hz (-3dB), opening angle @ [H] / [V]: 120/35 degrees (-6dB @ 1kHz-8kHz). 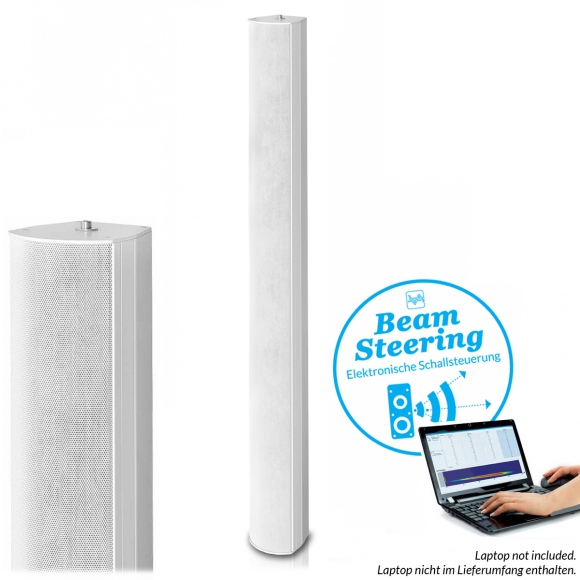 Specially designed for sound transmission in acoustically difficult rooms with long reverberation times, such as churches, conference rooms, museums, cathedrals and halls. 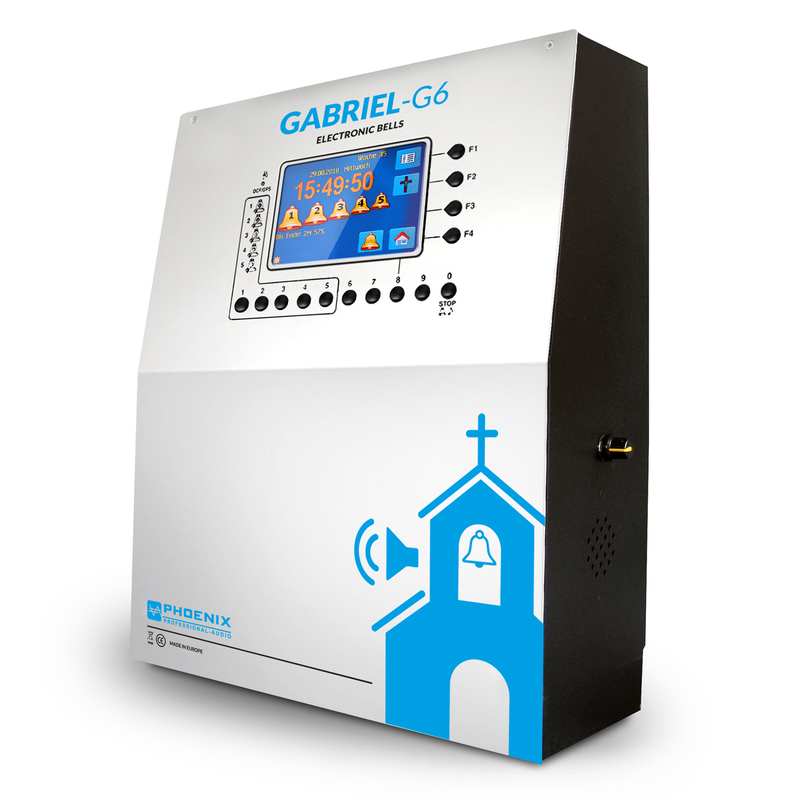 The electronic bells GABRIEL-G6 are the perfect alternative for real, heavy bells. 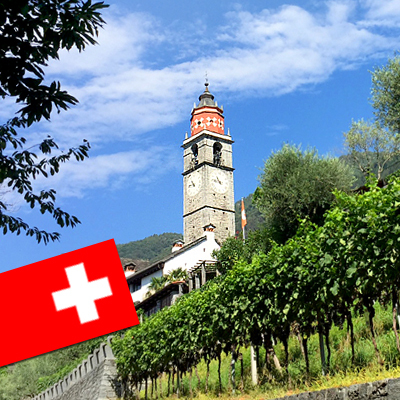 Compose your individual bells with the new mixing function – a world first! NEW: Version with touch panel. 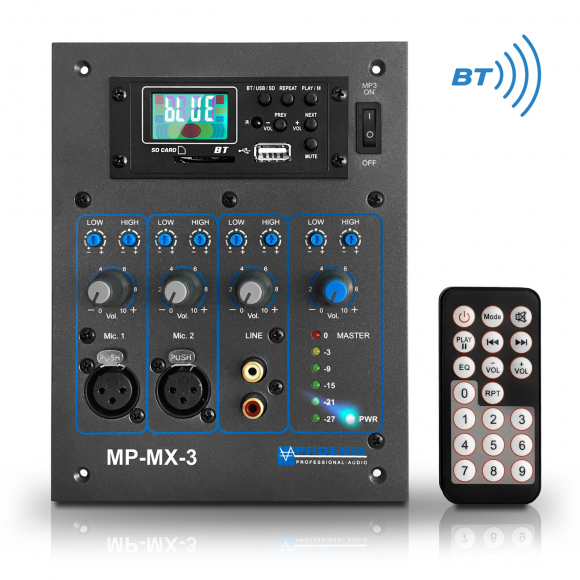 Universally usable UP mono pre-amplifier with two microphone inputs and one LINE input (mixable), built-in MP3 player module (SD-USB) with BT receiver, operable by an included IR remote control. 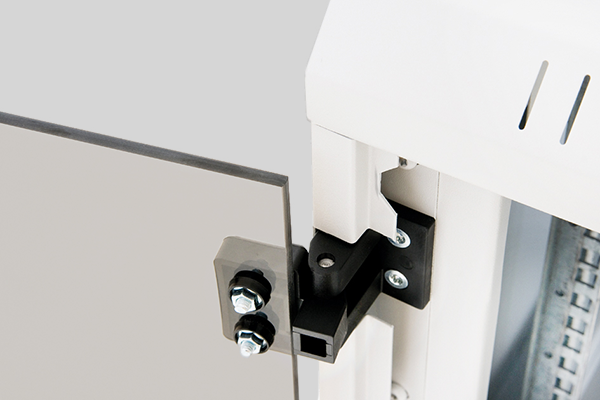 Universal application, easiest operation and high overload stability. The newly redesigned loop amplifier ILA-450 is a professional solution for the installation to induction loops. Developed specially for audio transmission, the high-quality loop amplifier is used extensively to supply hearing devices by inductive audio signals. 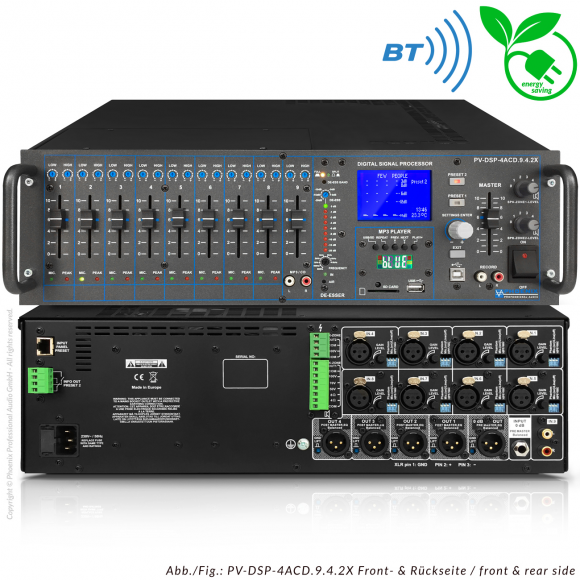 The PV-1 LIVE speaker system with state-of-the-art beam steering technology (control of the sound emission in the vertical level by implemented (electronic) system with mathematical algorithm) enhances your live event with an extraordinary sound quality. 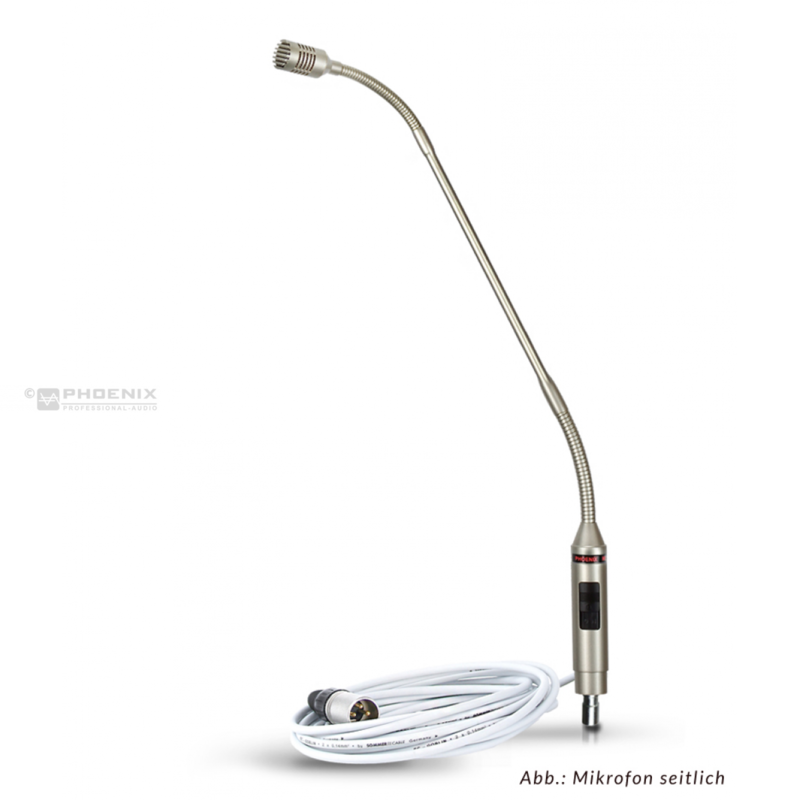 Gooseneck microphone / electret microphone with universal holder, 5 meter NF cable and XLR plug. Hypercardioid, symmetrical, L-500 mm, 16mV/pa. Color: silver-matt (si). Perfect suitable for sound transmission in churches. Mobile sound system with integrated rechargeable battery (7AH) and 2 x 80W (stereo) amplifier power, MP3 player with BT receiver. Active system (basic system) . 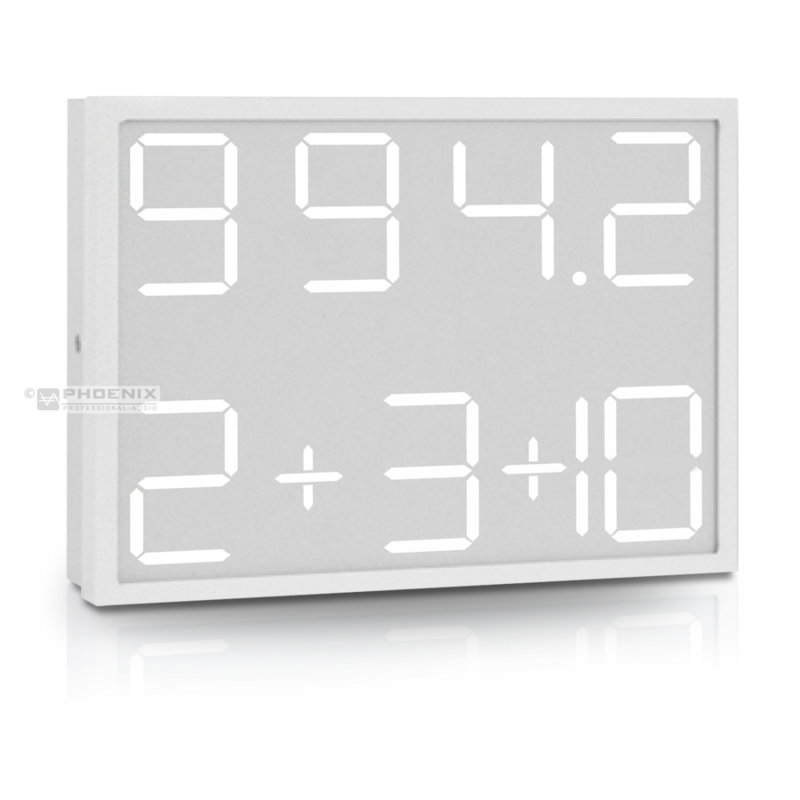 Hymn board with LED display in stable aluminum housing for surface mounting, digit height 100 mm. 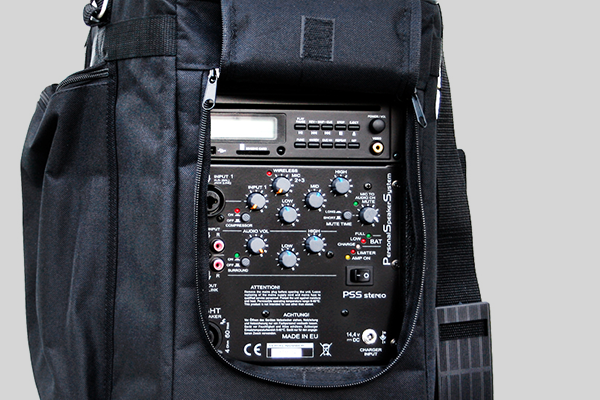 Procession system with 40W sinus class T digital amplifier, 2 x wireless receiver and 2 x hand microphone, USB player with BT receiver, power battery (NI-MH), charger and carrying strap. 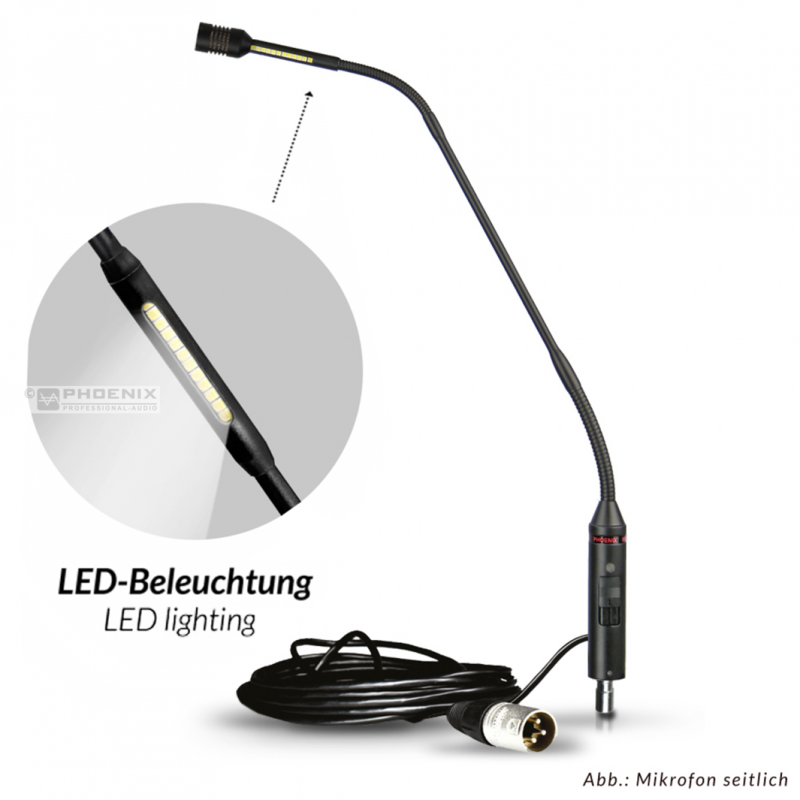 Gooseneck microphone / electret microphone with LED illumination, universal mount, 5 meter NF cable and XLR plug. Hypercardioid, symmetrical, L-450 mm, 16mV/pa. Color: black (s). Perfect suitable for the sound transmission in churches. 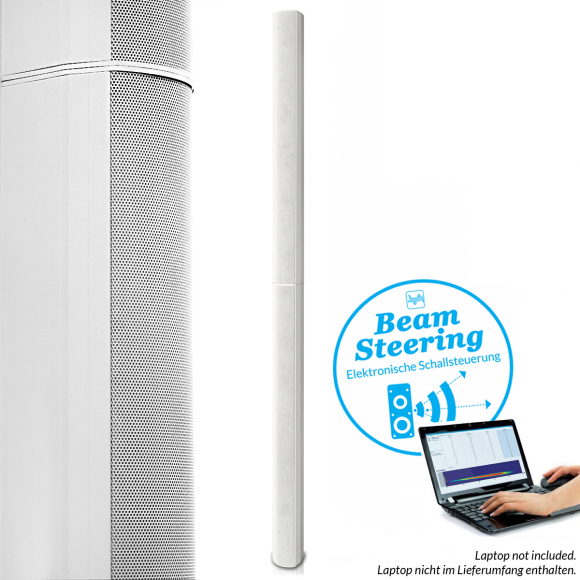 DSP supported speaker systems with beam steering technology. 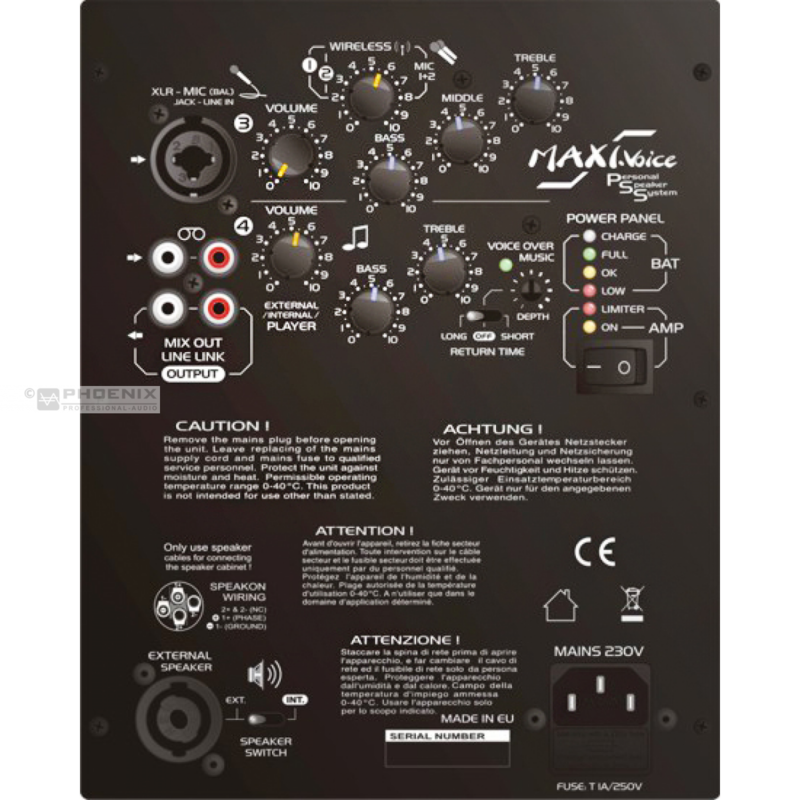 The electronic controllability ensures a very homogenous sound distribution with a minimum of sound reflections. 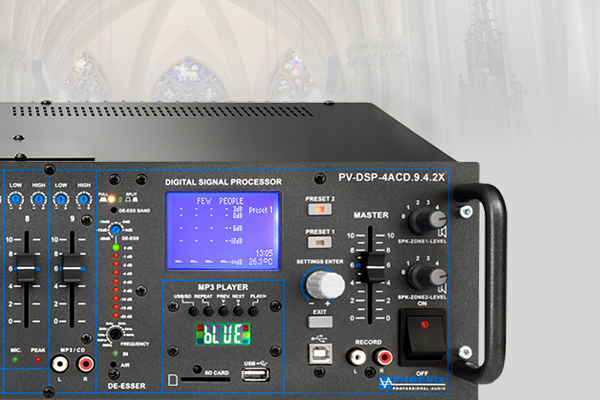 The DSP core provides a precise directional radiation and a high precision directivity. 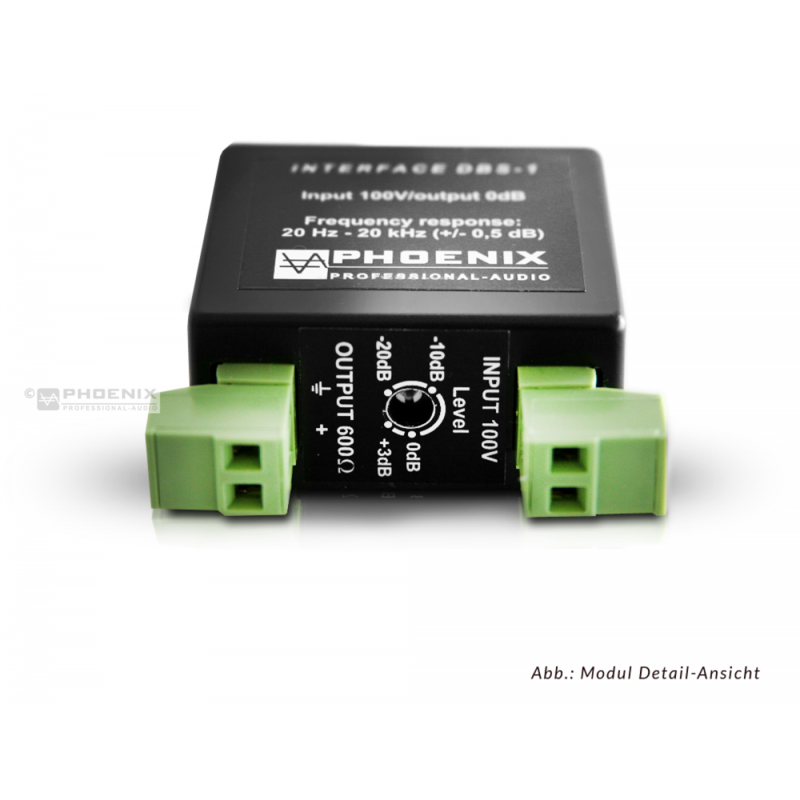 DBS-1 interface module (line level tap), used as signal converter from 100 V speaker lines to 0 dB audio signal for infeed of additional power amplifiers. Flow-limiting regulators (trimmers) in the range of -20 dB to +3 dB. No additional voltage supply required. Professional directional sound columns. 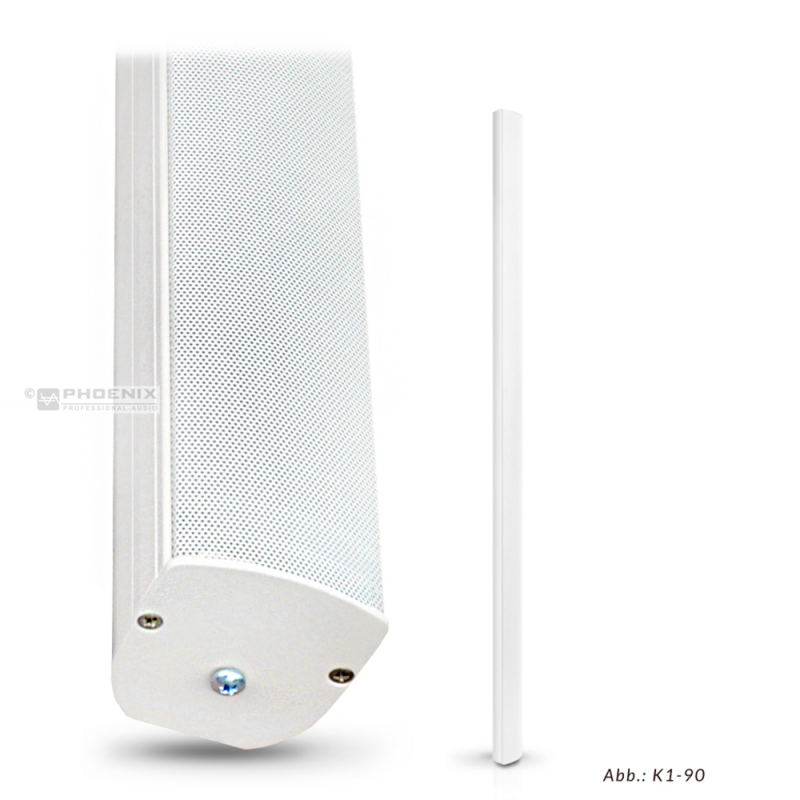 90W/100V with volume control, 1600 mm length, range: 95 dB @ 12 meters, 92 dB @ 15 meters. 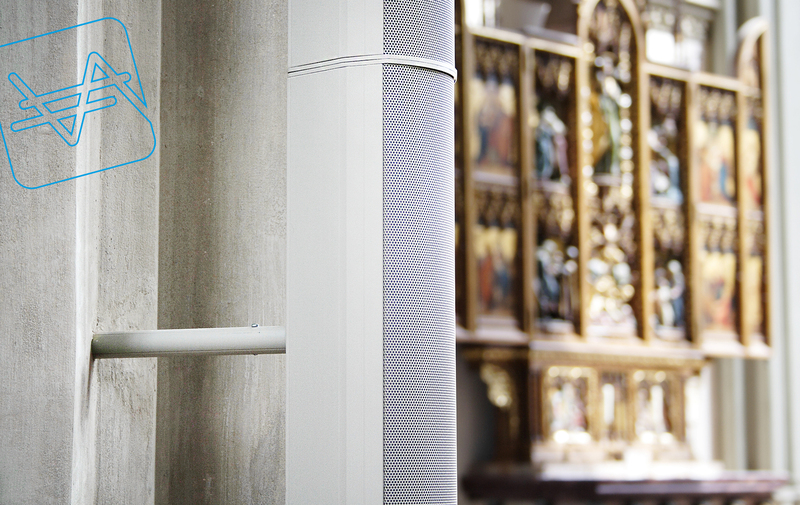 Specially designed for sound transmission in acoustically challenging rooms such as churches, conference rooms, museums, cathedrals and halls. Mobile sound system with UHF hand-held wireless microphone, wireless receiver, 20 watt digital amplifier, high performance battery (NI-MH), H/L control. Frequency range: 820 MHz -830 MHz or 863 MHz – 865 MHz. 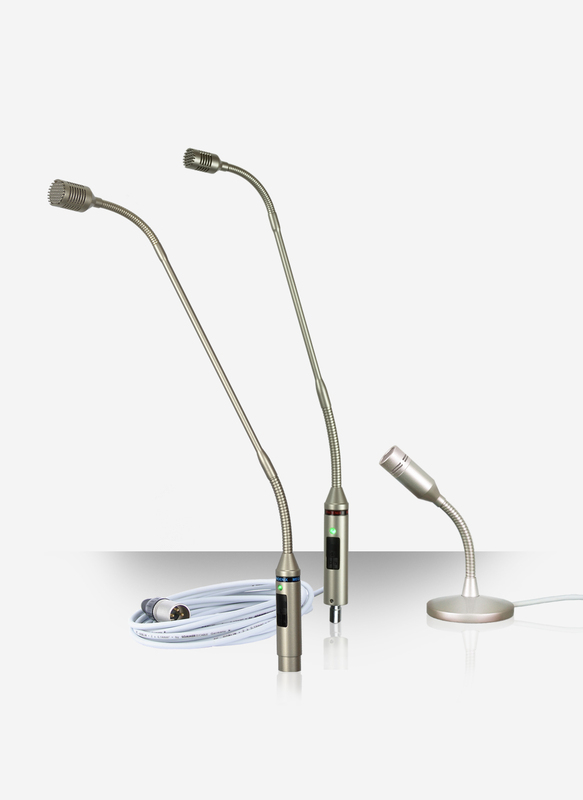 The noble electret gooseneck microphones from Phoenix PA are ideally suited for use on lecterns, as an ambo microphone and for conference systems. 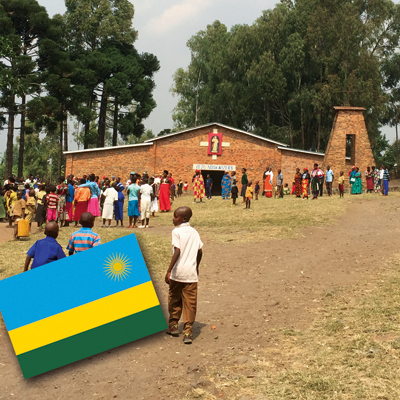 The Digital Future of Church Sonication: Visit us at DEVOTIO 2019! From 17th to 19th February 2019, Stand D7 / Hall 34, Exhibition Center Bologna / Italy! 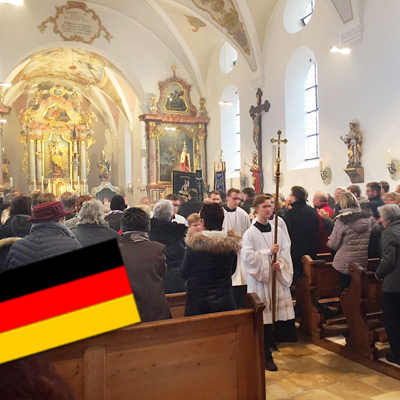 Phoenix PA renews the sound system of parish church St. Nikolaus in Schroeding - Solemn reopening on Sunday, the 16.12.2018 after extensive renovation. 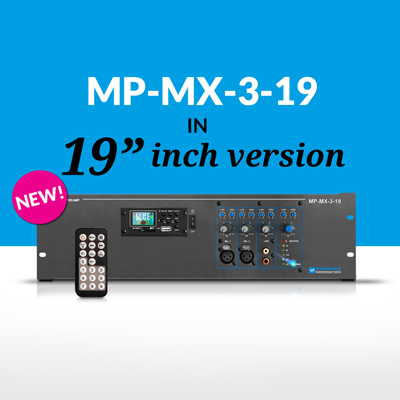 Easy installation in 19-inch cabinets: The MP-MX-3-19 is now also available in a 19" version (3U)! Are you interested in a collaboration or a partnership? 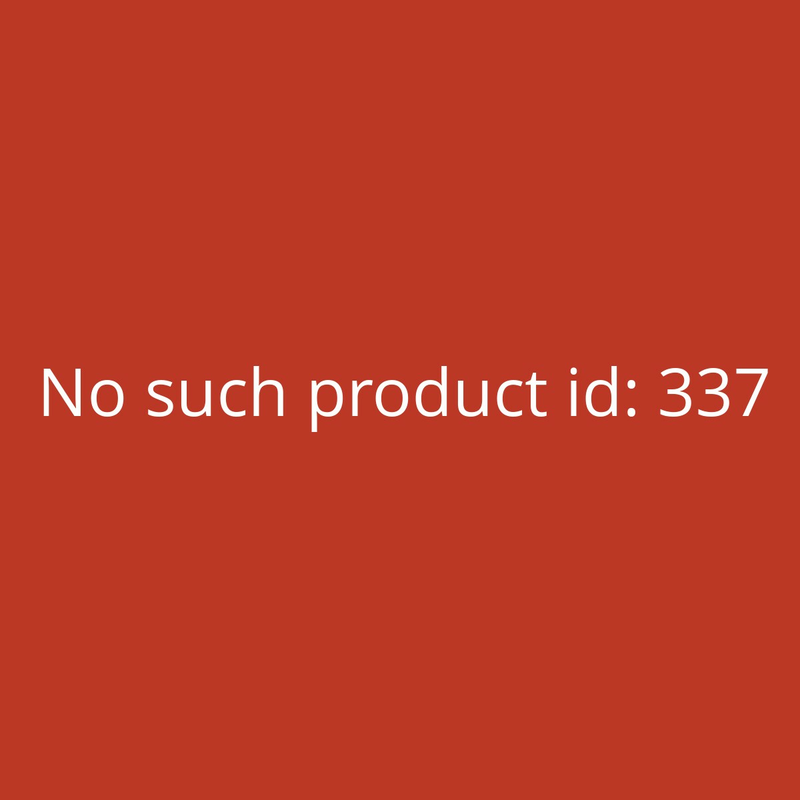 Do you have any queries, comments or wishes?